There’s no doubt that the process of home selling is a little complicated, but you can simplify it by choosing to sell it to home investors. 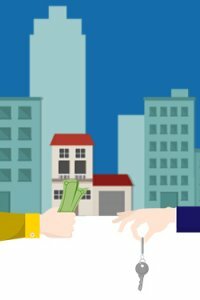 Here are reasons why selling to a cash home buyer is better than solely relying on the open market. Cash buyers make a fair, all-cash offer on your house. This means that you do not need to worry about financing or loan/bond applications being approved by banks. It’s the best option for people who need to sell their homes fast, due to reasons such as debt repayment. Cash buyers buy properties as-is in their current condition. You do not have to worry about repairs or makeovers. You can also save on the inspection costs which otherwise can be costly and time-consuming. The transaction through cash home buyers are highly secure and free from risks. Unlike banks/financing agencies, there are no chances of delay or denial of loans. They do not charge you any commission / fees which you normally would have to pay an estate agent. Cash buyers are always willing to offer a fairer price for your home while this may not be the case with the open market – you would end up changing the price of your home when you see that it’s not selling in the listed price range. The best thing about cash buyers is that they do not compromise its list price. If you’re looking to sell your Las Vegas house fast for cash, get in touch with Southern Nevada Homebuyers. We buy houses in Las Vegas as-is regardless of their condition or location.